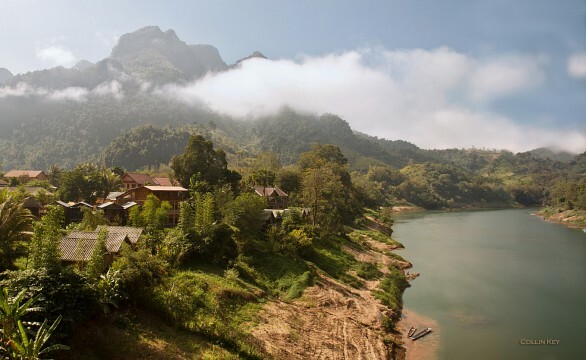 Laos is one of the last remaining communist countries on Earth and is slowly placing itself firmly at the top of the Southeast Asia tourist map. A relaxing country to discover, with a tumultuous history, friendly locals, great food, and abundance of nature have cemented its spot as one of the most enjoyable nations to visit. The fact that it is also incredibly affordable to travel through, has meant it attracts an eclectic mix of foreign visitors, ranging from middle-aged history buffs who want to explore ‘the most-bombed country on Earth’, to hippie, rasta-donning 20-year olds who enjoy tropical vacations where the beer is cheap and dope even cheaper. For these travelers, Laos is gaining an almost cult-like following, much to the detrimental effect on the culture, economy, and future prospects of the country. 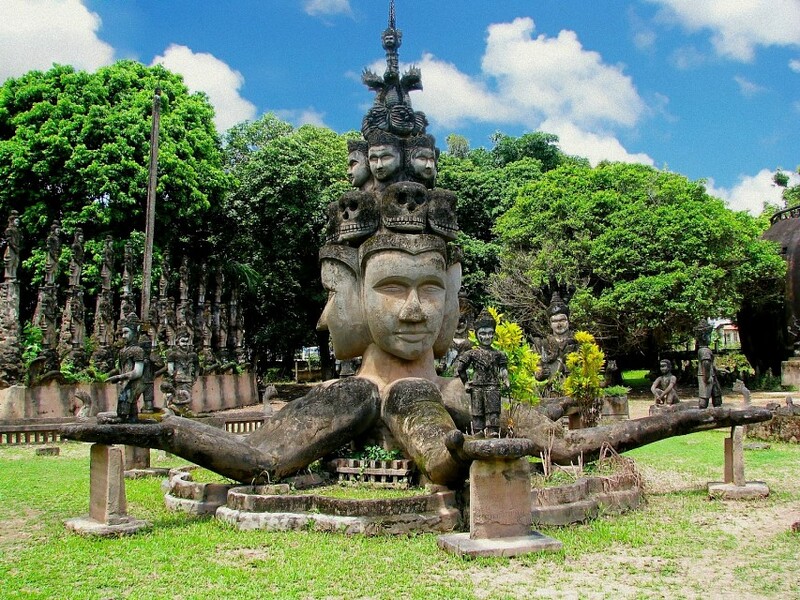 An interesting and fascinating place to explore, Laos certainly has something to offer everyone and if you’re searching for a Southeast Asian nook with plenty of cultural authenticity you’ll be happy to know this is precisely where you should come. For how many more years Laos will remain relatively unspoilt is anyone’s guess, yet if its neighbors are anything to go by it may not take long at all before this also becomes yet another beautiful and cheap party hub. It’s hard to imagine that this dusty, undeveloped corner of the world was once one of the most significant French protectorates to date, and this contrast does much to explain the extensive and eclectic history of the country. If recent archaeological findings are to be believed, humans have been living in Laos longer than anywhere else in Southeast Asia (46,000 years to be exact) yet the most significant period of the country were the six centuries during which it was ruled by monarchy. This was by far the most prosperous years and a time where all of the country’s main historic landmarks were built. Six decades of French Protectorate in the early 19th century perpetuated the wealth and gave birth to what is nowadays a wonderfully eclectic mix of architecture all over the country. The communist takeover of 1975 plunged Laos into extreme isolation, something which it’s still reeling from, over two decades after its collapse. To most tourists, the tell-tale signs of this repressive recent history are almost unrecognizable, yet those who take the effort to scratch the surface may find traces of skepticism, jealousy and resentment among locals. A very common phenomenon found in most former communist states. The darkest chapter in Laos’ history occurred during the Vietnam War when its geographical location made it an easy pawn in the fight between the USA and Vietnam. Unbeknownst to most of the world, the U.S. dropped over two million tonnes of explosives on Laos, a country which was not even involved in the dispute. What later became known as the Secret War continued unhindered for 9 years, and resulted in Laos suffering an explosion every minute, of every day, for nine years straight. The eventual uncovering of the massive, relentless and ruthless attack by the US is what led to international indignation of the Vietnam War offensive and brought about its eventual end. 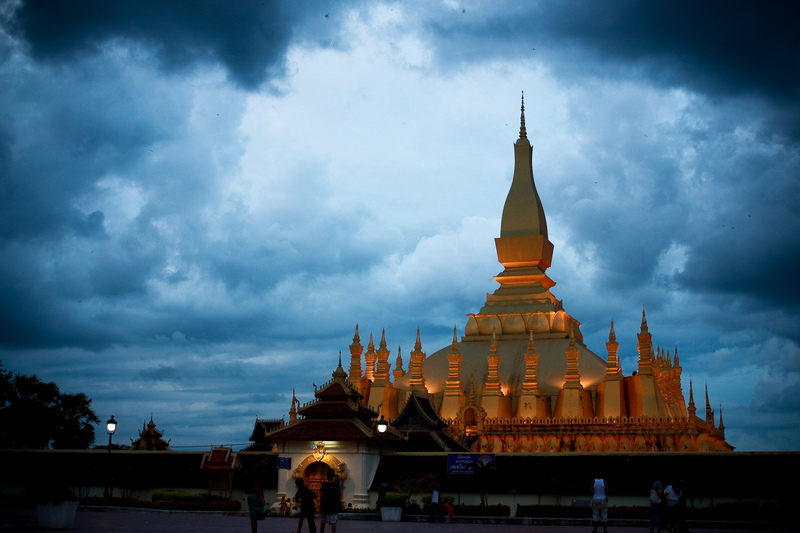 Laos may be a small country and may also suffer from somewhat of an inferiority complex, when compared to its neighbors. It lacks the beaches of Thailand, world renowned ruins of Cambodia, and enticing culture of Vietnam yet when it comes to superlative highlights, worthy of praise, this treasure of a nation still packs an almighty punch. The capital city and arguably the least 'attractive' of the major tourist hubs, Vientiane is nonetheless a great springboard for exploring the rest of the country and a fab place in which to spend a few days. 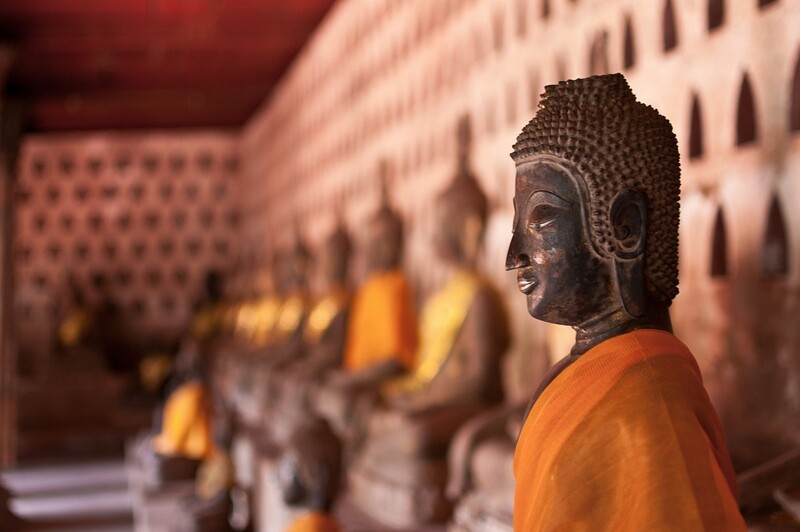 The city is home to Pha That Luang, the most important Buddhist monument in the country, as well as Wat Si Saket, its oldest and most revered temple. Lingering sights of the old colonial era are almost palpable when you visit Patuxai, the Victory Arch gifted to Laos by the USA and reminiscent of the Arc de Triomphe in Paris. The reputed party hub of Laos, yet a riverside town which actually boasts a very relaxing pace, if only you know where to look. Spend the day at the Blue Lagoon and enjoy the brilliant rock-climbing opportunities in what is arguably the most aesthetically pleasing of all the tourist stops. 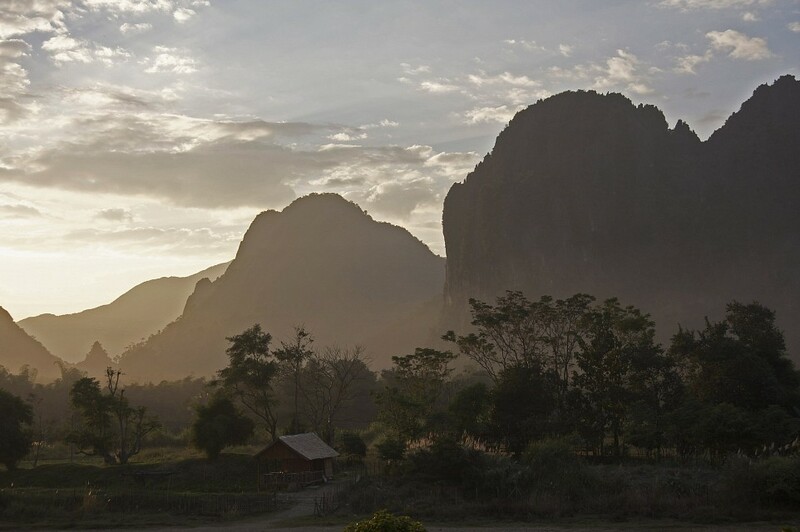 Vang Vieng has suffered from quite a bad wrap over the years, yet efforts are in full swing to clean up its image. Visiting it, for whatever reason you fancy, is still an absolute must. The capital of its homonymous northern province can be said to be a hybrid between Vientiane and Vang Vien. 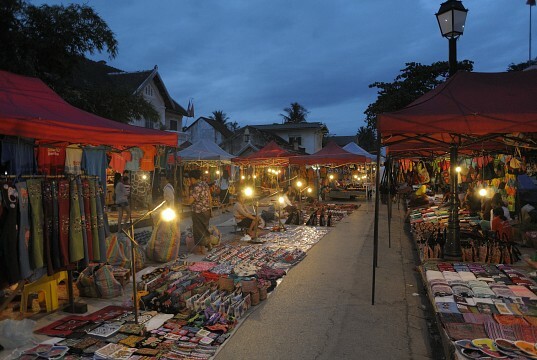 Luang Prabang is all culture and history by day, and subdued party place by night, with an amazing nighttime market which is, without a doubt, the best in the whole country. Spend a whole day chillaxing in the stunning Kuang Si Falls, or take a boat trip to discover the Buddhist secrets of the Pak Ou Caves. 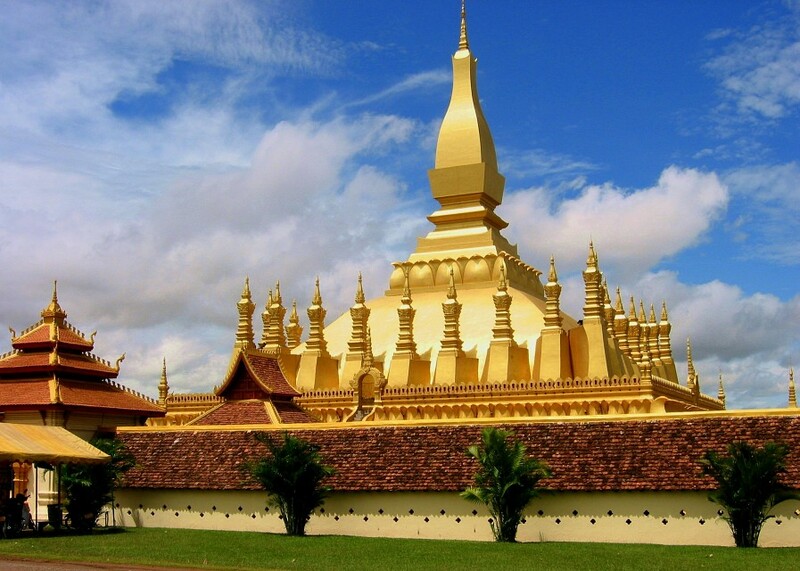 In Luang Prabang, you can also explore the Haw Kham Royal Palace, the former prime residence of the Laotian Royal Family, or stand in awe at the striking beauty of Wat Xieng Thong. 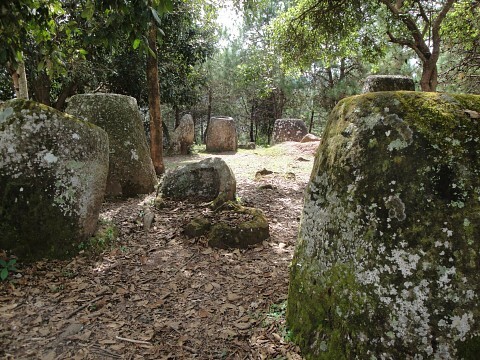 As a tourist destination, the northeastern town Phonsavan does not have much to boast about itself, yet considering it's the nearest city to the enticing Plain of Jars it also rates as an incredibly popular hub. Easy to reach and offering plenty of accommodation choices, this base town is ideal for exploring the nearby hills brimming with ancient stone jars, whose origins still baffle experts to this day. On the southern half of the country is where you'll find Thakhek , a bustling border town which is ideal as a base to visit Tham Kong Lo, regarded as Southeast Asia's most stunning geological wonder. 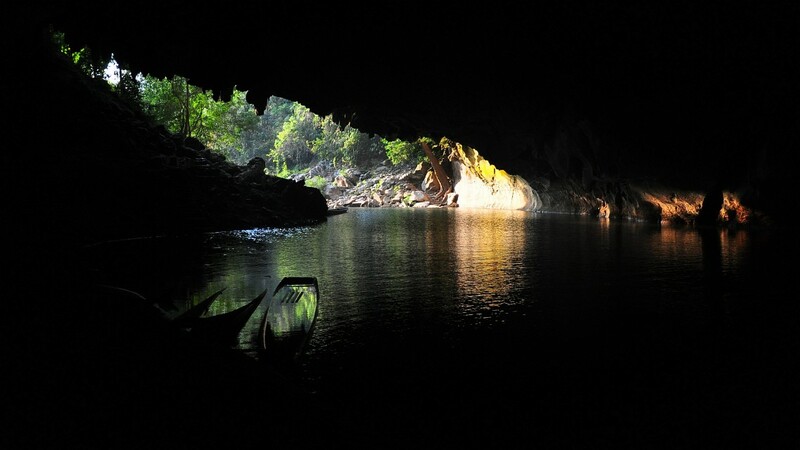 The 8km long karst cave, which is traversed by a navigable river and surrounded by insanely beautiful tropical forests, is by far the highlight of the region, if not the whole country. Laos is not the most diverse country you could visit and that’s not very surprising considering how small it actually is. Yet if you take the time to explore it from end to end, and step well away from the main tourist hubs, you may discover some rather stunning, and varied, landscapes. The only landlocked country in Southeast Asia is traversed by the mighty Mekong River on its eastern border and significant mountain ranges along its border with Vietnam to the east and Thailand border to the north. Thick, tropical rainforests, luscious verdant hills, enticing arid plain and splendid high-altitude plateaus can be found here, although you’d have to travel quite far and wide if you want to see all these splendors. Northern Laos is characterized by a mix of striking karst mountain ranges and thick tropical rainforests, with the northeaster region (home to the Plain of Jars) home to a high-altitude plateau with some arable land, which is where most coffee production takes place. 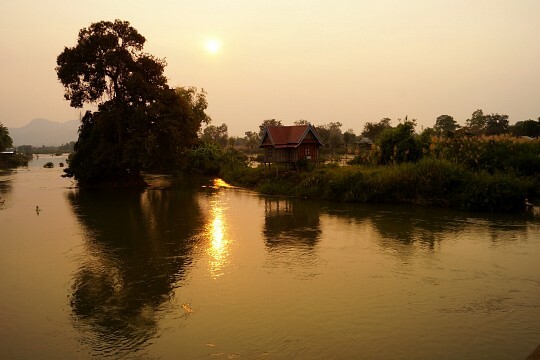 Southern Laos is much more fertile and it is here that the Mekong flows into its delta. Stunning islands, tropical forests, and some karst mountains grant this the tag of ‘most beautiful area’ in the entire country. Most inhabitants live along the fertile plains of the Mekong River. 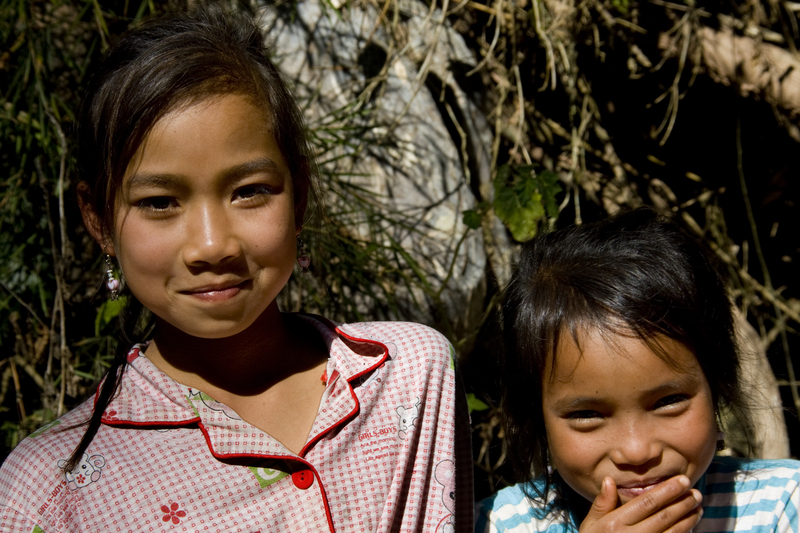 Laos is, by far, the poorest country in Southeast Asia and one of the poorest in the world. Subsistence farming still provides the great majority of the country’s GDP, with over three quarters of Laos’ arable land used to grow rice. The rest of the country’s income is complemented by foreign trade with its neighbors, China and Thailand in particular. Laos’ main asset is water and the recent increase in the construction of dams serves the purpose to provide and sell energy to its neighboring partners. Tourists spend an estimated 200 million USD a year in Laos; for them, the most recognizable local product is BeerLao. To a visiting foreigner, it may seem that Laos’ economy is going nowhere fast, yet obvious signs of massive infrastructure investment are testament to the fact that the government wants to make the country easier to travel through. One may not find reliable electricity and fresh water supplies all over, yet incredibly good roads and abundance of WiFi and international ATMs are one of the most surprising finds in just about every nook of the country. As with most undeveloped countries, the population is characterized by a few very rich and the greater majority living a subsistent life, although to call them poor would be misleading. Over 80% of the populace lives on the countryside, which may explain the country’s relatively high rate of longevity (65 years for women, 61 for men). The country is home to various ethnic groups although due to the country’s insistence at classifying them by the altitude at which they live in (lowland, upland and highland), it is unknown exactly how many inhabitants of each tribe there really are. In a 1995 census, the government recognized over 150 different ethnic groups. Laotians' society is wonderfully lacking of strict social class distinctions, with the most respect granted to the elders and religious leaders. Tribal allegiances are still very strong, especially in the hill regions, yet if there are ever disputes over grazing land they are usually settled amicably and without the interference of local authorities. Different ethnic groups have coexisted peacefully on his land since time immemorial. Laos has the youngest population in all of Asia, yet lack of readily available maternal care means it also has the 7th-highest mortality rate among infants in the world. Buddhism and Hinduism play a big role in people’s lives, and the Laotian people come across as peaceful, spiritual souls above and beyond anything else; ceremonial, respectful and tolerant, they are hospitable, friendly and never aggressive towards tourists, no matter how disrespectfully some may behave. This is especially true of places like Vang Vieng, where scantily clad, drunken tourists (and accepting locals) have become the norm. Laotian people are extremely polite and ever-respectful, and will go to much length to make you feel welcome no matter where you go. Aggression is frowned upon, as is an obvious overuse of alcohol or drugs. Laotians enjoy their beer yet you’d be hard-pressed to find a stumbling drunken local, a very unfortunate and familiar sight in many poor countries. 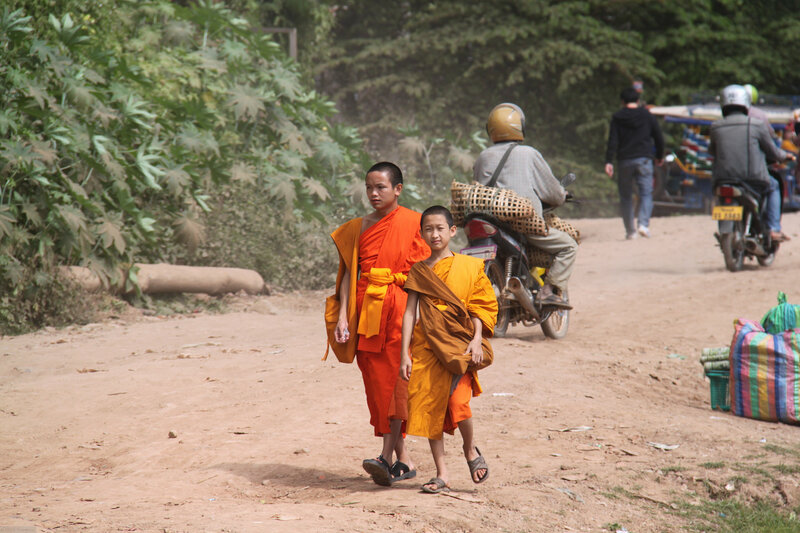 Another charming aspect of the people in Laos is their very distinct disdain for punctuality. Travel here and you’ll seen discover ‘Laotian Time’, where things happen eventually, tasks completed at some stage or another, and the passing of time becomes utterly irrelevant. For a westerner, this may be a hard concept to grasp, yet if one removes one’s watch at arrival one may find the whole notion much easier to accept. 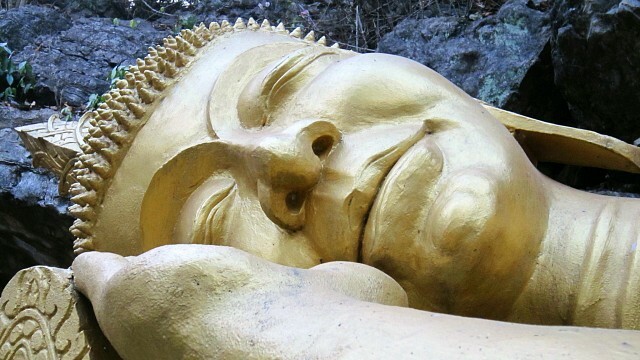 If you don’t know how to relax and take it easy by the time you arrive in Laos, you will certainly learn by the time you leave. Respectful behavior and dress should be considered a must for travelers, irrespective of what some fellow tourists may believe. Touching someone’s head (even a child) is a big no-no in Laos, as is showing the soles of your feet. Overall, the cuisine of Laos is not all that dissimilar to that found in Thailand, with the country boasting only a few distinctive specialties. Sticky rice is the staple the country over, and most popular ingredients are: pork, fish, and chicken, along with papaya, sugarcane, green leafy vegetables, and a wonderfully aromatic plethora of herbs and spices. By and large, Laotian cuisine is not the tastiest in Southeast Asia and outside the main tourist hubs of Vientiane, Luang Prabang, and Vaing Vieng you’d be hard-pressed to find anything other than vegetable noodle soups for breakfast, lunch and dinner. If you want to savor the very best versions of Laotian cuisine then you’d do well to visit the most popular local restaurants in the above-mentioned towns. Kiao Niaw- sticky rice, sometimes cooked in mango or coconut juice. 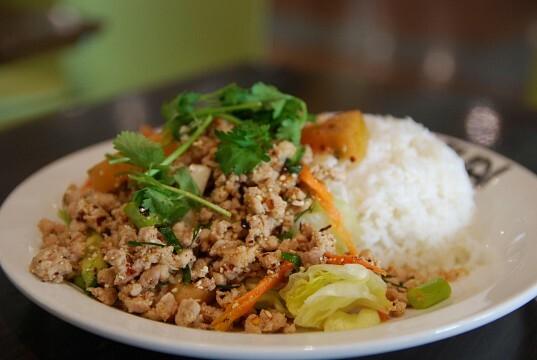 Larb-minced chicken, pork, or fish, mixed with finely chopped spring onions, chilies, coriander, mint, basil, and fish sauce. Always served with sticky rice. Ping Kai: spicy Laotian chicken skewers (also available in other meats) found charcoal-grilled in every market stall. Mok Pa; arguably the most delectable dish in the country, mok pa is herb encrusted fish steamed in banana leaves. Melt-in-your-mouth deliciousness in a small, convenient, bundle. Fresh, tropical fruits are by far the very best Laotian cuisine has to offer, with a wide variety found in towns and villages all over the country. 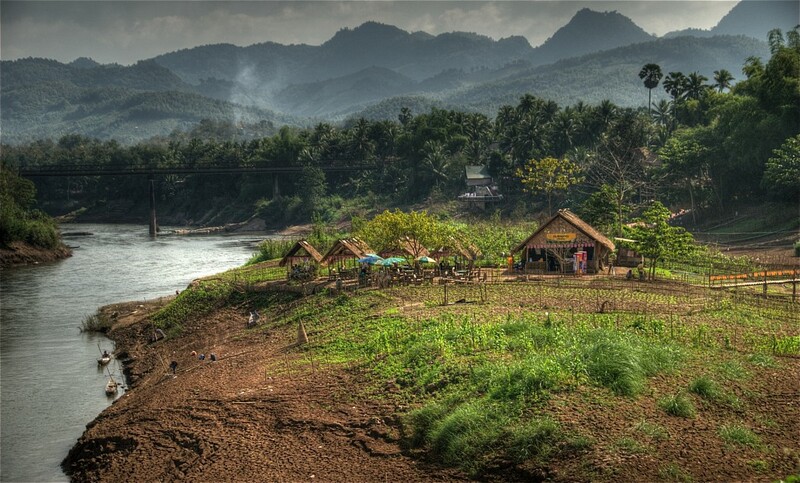 Like most of Southeast Asia, Laos’ climate is divided into two prevalent seasons: wet and dry. The wet season runs from May to September, and dry from October to April, inclusive. The temperature is mild and comfortable all year round and the only major fluctuations are regulated by the altitude. 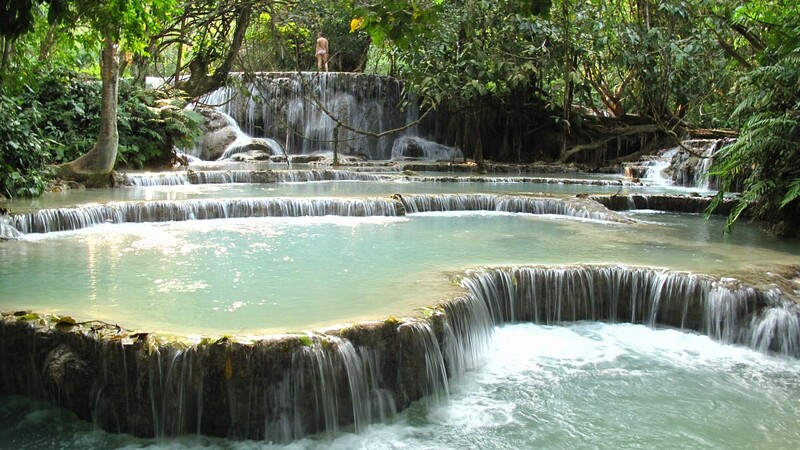 If you travel to the Plain of Jars in January, for example, you could suffer temps in the single digits, whilst tourists in Luang Prabang will be visiting the Kuangsi Falls in order to cool off from the excessive heat. 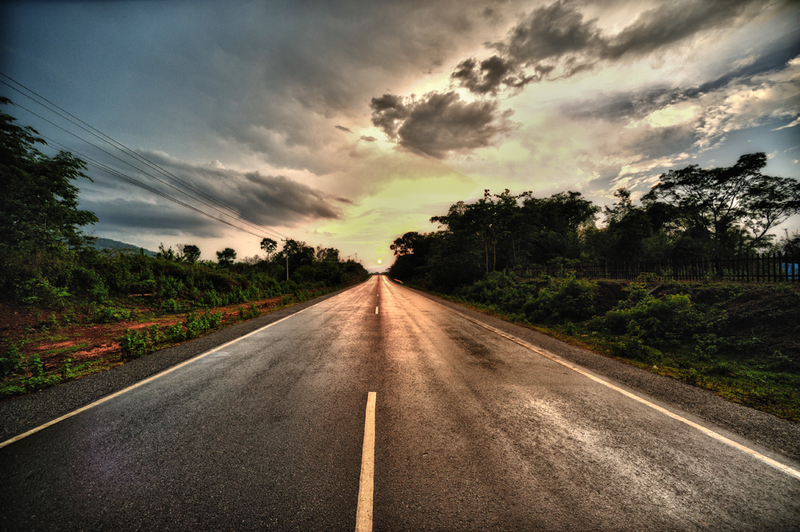 Traveling to Laos is enjoyable at any time of year, due to the monsoon wet season boasting intense by short-lived storms which will only affect a few hours of your day. Having said this, if you want to get off the tourist trail, and visit villages away from the tarmac roads, traveling in the wet season means dealing with mud-rivers and difficult, slow transport. On the upside though, river boat traffic is at its best in wet season and tourist numbers are minimal, making this a very rewarding time of year to visit. Of the dry season, December, January and February are by far the coolest and best time to visit, while March and April become almost unbearable due to intense temps and agricultural back-burning which results in massive smoke clouds all over the country. Held at some stage between January and February, Chinese New Year is celebrated with gusto in Laos, the three-day fest involves the closing of most businesses and many festivals, fireworks, celebrations, and parades in most major towns and villages. By far the most exciting thing to happen in Vientiane all year long, the celebrations in the capital’s most revered monument, the That Luang stupa, this November celebration comes complete with food and souvenir stalls, music and dancing shows, kid’s rides and a phenomenal amount of very colorful costumes. By far the most interesting of all Laotian festivals and the one least attended by foreigners. On this day of celebrating the dearly departed (held in August), remains are exhumed, bones washed and cremated. 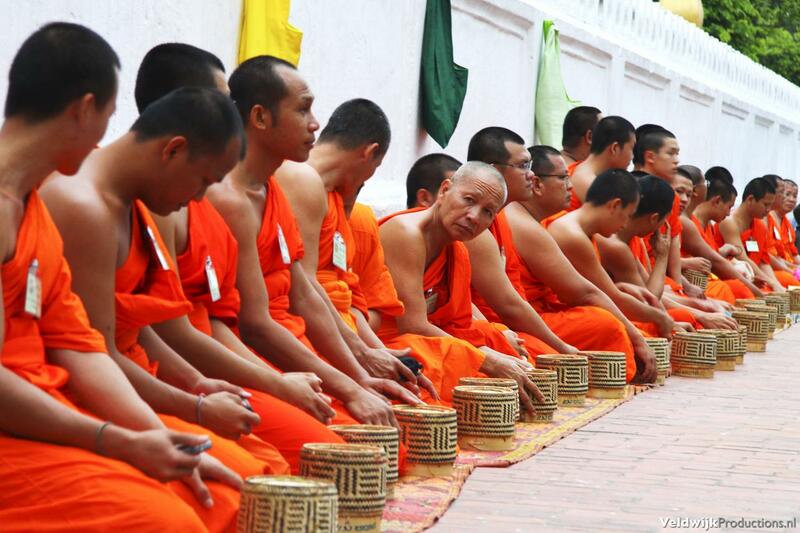 The ceremony is presided over by local monks and is revered in a country which believes greatly in the afterlife. 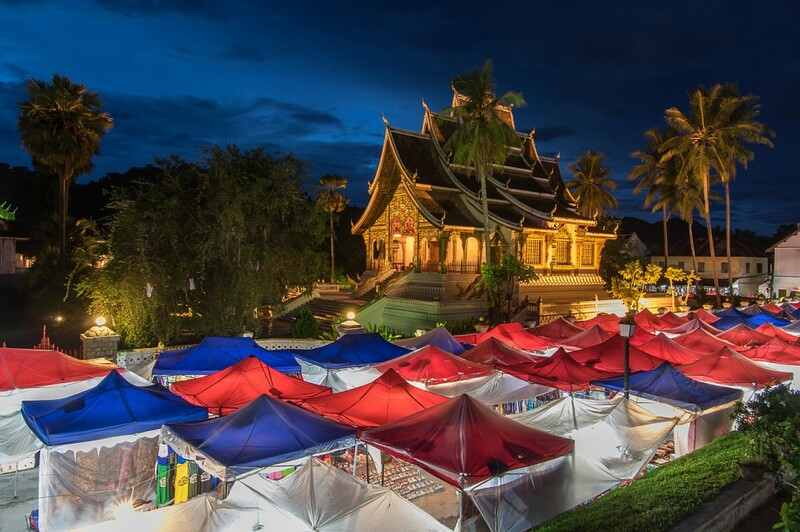 We admit this sounds a little macabre, yet if you’re really looking for an authentic Lao experience, then being a respectful observer of this festival ought to be right up your alley. As far as personal safety is concerned, Laos would have to rate as one of the safest countries on the planet and certainly the safest in Southeast Asia yet considering it is a very poor country the usual precautions should be adopted. Protecting yourself from opportunistic locals as well as fellow travelers will ensure your journey is hassle-free. Carry your valuable with you at all times and never leave anything in your bungalow/hostel room/hotel room which you’d be gutted to lose. Petty crime is most common in VangVieng where a disproportionate number of drunk and stoned tourists leave themselves vulnerable to theft. A recent spike in police raids on tourist is also an unfortunate consequence of the party scene, especially when you consider that most local policemen are in cahoots with the barmen who offer to sell you drugs in the first place. Banditry along much-used routes was a serious issue up until a few years ago, although a serious clamp on this by authority has seen the risk greatly diminished. There are no recent reports of buses or vehicles being held up and robbed by bandits in recent years. The most serious safety concern in Laos comes compliment of the tons of UXO still littering much of its countryside, so getting off the trodden path (literally and figuratively speaking) must be done cautiously. Unlike land mines, which can be triggered by a single step, ‘bombies’ must be prodded, poked or set alight to explode, yet it’s surprisingly easy to do this. Don’t kick any shiny, metal objects, don’t pick anything up, and don’t take trails which look abandoned. 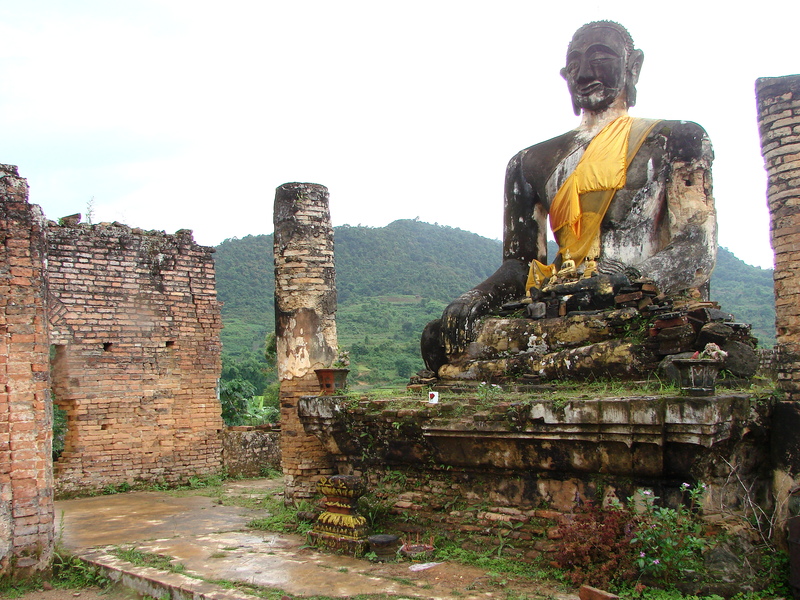 The most common ailment suffered by tourists in Laos is the dreaded tummy bug. Amoebic dysentery and worm infestation is quite common, and something which affects a great number of visitors, although most will only show symptoms once they return home. A thorough check up upon your return is advisable. Malaria is common in some rural areas yet near non-existent in the major tourist hubs of Vientiane, Luang Prabang and Vang Vieng. Vientiane’s International Airport is easily reached from all major Asian hubs, with quite a few airlines flying directly to Luang Prabang in the North and Pakse in the South. Overland transport is also available through Thailand, Cambodia and Vietnam, with harder-to-organize access from China also a possibility. A 30-day visa is available at all points of entry for most nationalities, with prices ranging from $ 30 USD to $ 45 USD . Domestically, Lao Airlines holds the trump card in movement, and although its safety record could be described as ‘dodgy’ at best it has improved significantly in recent years. Flying between Vientiane and Luang Prabang has become increasingly popular, with a 40-minute, $ 200 USD flight (at time of writing) being considered a better alternative to the at-times 12 hour bus ride, which is the only alternative. 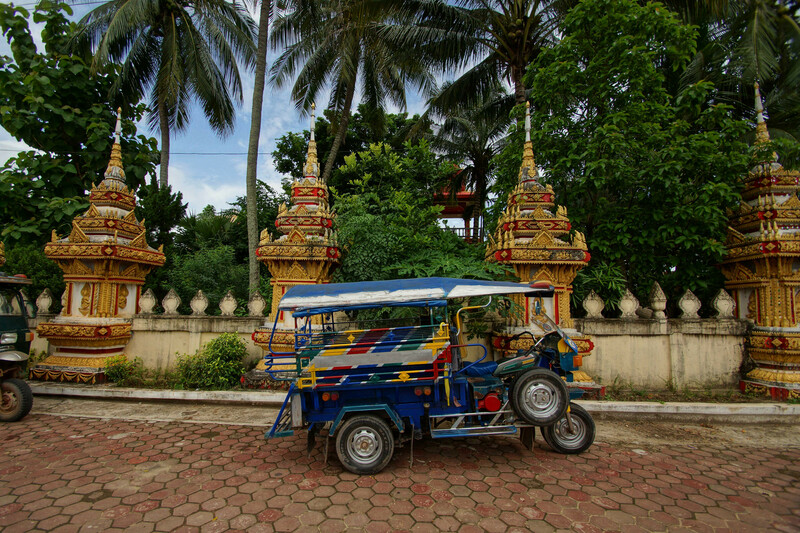 You’ll find an abundance of tuk-tuks in all major towns and villages and many open and closed mini-vans, as well as coaches, plying all the popular routes. Transport by road is inexpensive and fun, although the latter description will depend highly on your outlook and adventurous spirit.